I would like to receive updates and promotional messages from REA. 1.1 REA will endeavour to allow you uninterrupted access to this Website, but access to this Website may be disrupted, restricted, suspended or terminated at any time at its discretion or for reasons beyond its control. 1.2 REA reserves the right to improve, change, modify, substitute or remove any information on this Website, or terminate this Website, at any time without notice. 1.3 Any communication or material that you transmit to this Website or to the Academy by electronic mail or otherwise, including any comments, data, questions and suggestions, is and will be treated as non-confidential and non-proprietary unless a prior arrangement in writing is made between you and REA. REA may preserve any such content and may disclose it to third parties if required to do so by law or in the good faith belief that such preservation or disclosure is necessary to comply with legal process; respond to claims that the content violates the rights of third parties; enforce these Terms and Conditions; or protect the rights, property or personal safety of this Website and its users. 1.4 REA does not review any third-party web pages or websites hyperlinked to this Website and is not responsible for the content of any such off-site pages or sites. If you visit such off-site pages or sites through this Website, you do so at your own risk. 2.1 Unless otherwise indicated the copyright, database right and rights of an allied nature in the material contained in the Website, together with the website design, text and graphics, and their selection and arrangement, belong to REA. All rights are reserved. None of this material may be reproduced or redistributed without its prior written permission. You may, however, download or print a single copy for your own non-commercial off-line viewing. 2.2 You agree that any logos, names, service marks, trade marks and other devices (collectively referred to as "Marks" pertaining to REA that may be displayed on this Website, including the circular crest and motto of REA, "Real Estate Academy", "REA", "Real Estate School", "RES", "Superlative Learning System", "Singapore Real Estate Sale & Investment Handbook" and "RESI Handbook" are its registered and/or unregistered Marks. Nothing contained on this Website should be construed as granting, by implication, estoppel, or otherwise, any licence or right to use any of the Marks belonging to it or to third parties that are displayed on this Website without prior written permission. 2.3 Certain product and company names mentioned on this Website or material displayed on this Website may be intellectual property belonging to third parties. The Academy does not warrant or represent that if you use such material you will not infringe the legal rights of these third parties. 3.1 REA uses reasonable endeavours to ensure that the information on the Website is accurate and to correct any errors or omissions as soon as practicable after being notified of them. However, to the extent permitted by applicable law, it disclaims all warranties and representations (whether express or implied) as to the accuracy of any information contained on this Website. 3.2.2 the accurate receipt or security of any information transmitted by you by electronic mail or otherwise to the Website or the Academy. Accordingly, your use of this Website, and the electronic transmission of any document or information by you to the Website or the Academy is at your own risk. 3.3 The liability of REA and/or of any other party involved in creating, producing or delivering this Website (the 'Web Programmer" for any damages, claims or losses arising from an inability to access this Website, or from any use of this Website or reliance on the data transmitted using this Website, is excluded to the fullest extent permissible by law. In no event shall REA or the Web Programmer be liable for any anticipated savings, business, goodwill, loss of profit, opportunity, revenues or other direct, indirect, consequential, incidental or special loss or damage of any kind, whether arising from breach of contract, tort (including negligence, defamation and infringement of copyright or database right or other intellectual property rights) or otherwise arising out of use of this Website, whether or not notified of such damage or loss arising, except where such liability cannot be excluded by law. 3.4 On this website, REA may from time to time provide you with information on third-party suppliers and the goods and services they deal in and/or the events that they organise. Any goods, services or events not stated to be provided or organised by it are provided by such third parties over whom it has no control. Nothing on this Website should be construed as an endorsement by or recommendation from REA to buy any products or services featured or to participate in any events. You should satisfy yourself that you wish to purchase the goods or services or participate in the events in question before contracting with the suppliers. The suppliers will deal with you on their own terms and conditions and you should check that you agree to those terms and conditions before making any financial commitment. REA accepts no liability for any goods or services provided or events organised by such third-party suppliers. 3.5 REA does not monitor, verify or endorse information submitted by third parties for posting on this Website. You should be aware that such information may be inaccurate, incomplete or out of date. 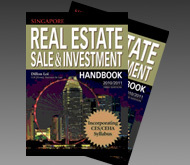 3.6 REA endeavours to prepare the content of the Website in accordance with Singapore law. It does not warrant that the Website will satisfy the laws of any jurisdiction other than Singapore. 3.7 Without limiting the foregoing, everything on this Website is provided to you "as available" and "as is" and REA disclaims to the fullest extent permissible by law any representation, warranty or responsibility of any kind, either express or implied, in relation to any information, goods or services offered, accessed or obtained through this Website. It also makes no representations or warranties, express or implied, with respect to this Website, or any part of it, including any warranties of title, non-infringement of the intellectual property rights of third parties, merchantability, satisfactory quality, or fitness for any purpose. 3.8 The member warrants that he/she consents to messages sent to him/her related to real estate matters. In the event that he/she has submitted his/her name to the Do-Not-Call registry that he/she will inform REA and REA shall remove his/her name from our calling list accordingly. 4.1 You may only use the Website in accordance with these Terms and Conditions and, in any event, for lawful and proper purposes which includes complying with all applicable laws, regulations and codes of practice within Singapore or other jurisdictions from which you are accessing this Website. 4.2.7 collect or store personal information about other users of the Website. for providing database, information, service-bureau or other commercial services to third parties. 4.4 Without prejudice to any of our other rights, whether at law or otherwise, the Academy reserves the right to deny you access to this Website where it believes in its absolute discretion that you are in breach of any of these Terms and Conditions. 4.5 You agree to indemnify and hold REA, its subsidiaries, affiliates, officers, employees and agents, harmless from any claim or demand, including legal fees on an indemnity basis, made by any third party due to or arising out of your use of this Website; content you submit, post to or transmit to the Website or to REA; or your violation of these Terms and Conditions or of the rights of any third party. 5.2 The Superlative Learning SystemTM (SLS) is a proprietary learning system used by REA. Only selected REA programs are SLS-facilitated. • The Refund-If-You-Fail Scheme is only valid for members of the Real Estate Investment Hub. • We will refund you your course fees (excluding admin & other fees) if you have not passed RES after 3 attempts# within 6 months after you have completed your SLS-facilitated course. If you did not sit for the RES exam after finishing the course, you will be disqualified from the Refund-If-You-Fail Scheme. • You must attempt both papers at least once within 2 months after the official commencement of the course. • All sessions are compulsory. All assignments must be handed up after each session. • REA reserves the right to use the names of attendees who have participated in "Refund-If-You-Fail" Scheme for promotional and all other marketing activities. # An attempt means actual attendance of the examination as evidenced by the examination slip. * Statistically, 90% of our attendees who pass at first try are either totally new entrants to the real estate industry or who has never sat for the respective examination previously. SLS is less effective where the particpant needs to undergo extensive unlearning of wrongly-taught information by other course providers and re-learning of correct material. • You have not attended all the sessions**. • You have not handed up your assignment/s after each session**. • You have taken an equivalent course from another agency/course provider before attending REA's SLS-facilitated course**. • You have chosen to waive your entitlement and re-attend REA's RES course**. 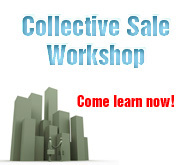 ** This excludes all members of Real Estate Investment Hub or salespersons from corporate member agencies. • The Take-Until-You-Pass Scheme is only valid for courses that requires the attendee to take an examination. • This scheme allows you to take 2-Day Revision Workshop for RES until you pass the exam, at no additional charge. • If mental maps are not submitted at the end of the workshop as required, we reserve the right not to extend privileges under this scheme after the first free sit-in. 5.5 There is no refund for cancellation or withdrawal made upon commencement of the course. 5.6 In the event that a refund is requested before the commencement of the course, only the course fee is refundable. If the participant qualifies for the Refund-If-You-Fail Scheme, he or she is entitled to a refund upon signing the acceptance of refund letter. Any admin fee and/or any premiums paid are non-refundable. 5.7 The participant is entitled to one replacement. Substitution must be made within one month of signing up for the course. Once substituted, you are not entitled to any Special Scheme and other preferential scheme that Real Estate Academy offers from time-to-time. The replacement is not entitled to any extra service and benefits on top of course attendance. 5.8 REA reserves all rights to amend the composition of the relevant lecturing team or venues and time for the lectures should the circumstances require. 5.9 In the event that assessment of academic qualification in lien of GCE 'O' level passes is required, REA will levy an admin fee of $100 which is refundable upon the applicant taking up our RES course. 5.11 Program fees are not inclusive of examination fees. 6.1 REA reserves the right to refuse free-of-charge entry to any member of REA Real Estate Investment Hub for REA Events, including Sharing and Networking Sessions, Meet-The-Gurus Dialogue Sessions, Public Forums etc if the member is unable to produce his or her REA's Membership Card or Legal Access Affiliate Card as proof of membership at the entrance to the event. 6.2 REA reserves the right to terminate the membership of undesirable members and refund any membership fee on a pro-rated basis to the member, after deducting expenses e.g. administrative fees, card replacement fees etc and affiliate commissions collected by the member, upon the member surrendering his or her REA Membership Card or Legal Access Affiliate Card. 6.3 REA reserve the rights to terminate the membership of members in the event any information given during registration is false (e.g. members must be 18 years and above). 6.4 The REA Membership Card or Legal Access Affiliate Card is the property of REA and shall be surrendered to REA on termination/expiry of REA membership. If the card is not returned to REA, a forfeiture fee of $50 will be levied. This is considered a debt owing to REA in the event of expiry and/or deducted off any pro-rated refunded amount in the event of termination. 6.5 In the event that the membership is terminated, the member's participation in the REA Affiliate Program will be discontinued as well. 6.6.1 The purpose of LegalChat is to provide a quick and convenient answer to members' law-related queries regarding Singapore real estate transactions, through mobile-app messenging. This service shall only be used by members for their own direct listings (identified by member ID) and the advice given shall not be conveyed to non-member third parties, as the fact-matrix is different from case to case. 6.6.2 REA and its appointed advisers, in their replies to members' law-related queries through the LegalChat web-messenging service, do not give any warranty nor accept any responsibility arising in any way, including, by reason of negligence for errors or omission. Members should seek independent and detailed legal advice for their specific and complex fact-matrix problems. 6.6.3 Should the member rely on advice given through LegalChat, without providing a complete fact-matrix background to the problems raised, and suffers loss and damage, the member agrees to indemnify REA and its appointed advisers against all damages and legal costs (including solicitor-and-client costs) payable. 8.1 These Terms and Conditions contain all the terms of your agreement with REA relating to your use of the Website, and supersede any prior agreements, if any, between you and REA. 8.2 REA may modify these Terms and Conditions at any time. Such modification shall be effective immediately upon posting of the modified Terms and Conditions on this Website. Accordingly, your continued or subsequent access or use of this Website shall be deemed to be your acceptance of the modified Terms and Conditions. 8.3 You agree that notices and legal process may be sent to you or served on you either personally, through the post, or by e-mail. 8.4 In the event that you commence any legal action of any kind, including any letter of demand, against REA or its directors, employees or subsidiaries, REA reserves the right to suspend or terminate all future services and benefits of its programs from the date of commencement of such legal action. You also undertake to pay for REA's entire legal fees, legal cost and ancillary cost, should the matter be brought before any court of law and the court gives judgement in REA's favour. 8.5 The failure of REA to exercise or enforce any right or provision of these Terms and Conditions shall not constitute a waiver of such right or provision. If any provision of these Terms and Conditions is found by a court of competent jurisdiction to be invalid, you agree that the court should endeavour to give effect to the parties' intentions as reflected in the provision, and that the other provisions of these Terms and Conditions remain in full force and effect. 8.6 The section headings in these Terms and Conditions are for convenience only and have no legal or contractual effect. 8.7 Your use of this Website, any downloaded material from it and the operation of these Terms and Conditions shall be governed by, construed and interpreted in accordance with the laws of Singapore and you agree to submit to the non-exclusive jurisdiction of the Singapore Courts. REA reserves the right, if it sees fit, to bring proceedings in the courts of the country of your residence. 8.8 Neither your use of the Website nor these Terms and Conditions creates any relationship of principal and agent or solicitor and client between any of REA's officers, employees or agents on the one hand and you on the other, and none of the content of the Website should be construed as legal advice. 8.9 None of these Terms and Conditions shall be enforceable under the Contracts (Rights of Third Parties) Act (Cap 53B) by a person who is not a party to it. 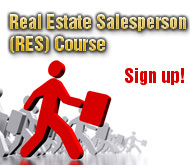 Real Estate Academy maintains this web site as a service to its students, staff and members of the public. You are invited to visit our web site to surf subject to restrictions outlined below. All information and materials published on this web site are provided without warranty of any kind, either express or implied, including without limitation warranties of merchantability, fitness for a particular purpose, and non-infringement. Real Estate Academy uses reasonable efforts to include accurate and updated information in this web site; however, we do not make any warranties or representations as to its accuracy or completeness. Real Estate Academy reserves the right to add, change, improve or update the information and materials on this web site without notice. Real Estate Academy assumes no liability or responsibility for any errors or omissions in the content of its Web site. Your use of this Web site is at your own risk. Under no circumstances shall Real Estate Academy, or any other party involved in creating, producing, or delivering this Web site's contents be liable to you or any other person for any direct, indirect, special, incidental, or consequential damages arising from your access to, or use of, this Web site. This Web site contains links to third-party Web sites. The linked sites are not under the control of Real Estate Academy, and Real Estate Academy is not responsible for the contents of any linked site or any link contained in a linked site. Real Estate Academy is providing these links only as a convenience, and the inclusion of a link does not imply endorsement of the linked site by Real Estate Academy. Your privacy is important to us. Real Estate Academy (“REA”) maintains a strict confidentiality policy on all personal data submitted by users and Real Estate Academy will not release such information to anyone without the prior consent of the users. We recognise that visitors, users, members and others (collectively or individually “Users”) who enter, use and/or visit this website and any of our other websites (collectively, including all content available on or through our websites, to be collectively referred to as the "Website") value their privacy. This Policy also explains our practices regarding personal information obtained from sources other than the Website such as submission of course application forms, written or verbal communications. (b) information you volunteer, via applications or surveys (for example, education, designations, specialties, affiliations with other real estate organizations and general demographic data). 2.9 to respond to requests or complaints. 3.4 enable REA to review, develop and improve the services which it offers. (g) To third party service providers who perform services to us such as helping us to operate the Website or process queries by users. 5. Some or all of the data collected during promotions or contests on our sites that are sponsored by third parties may be shared with the sponsor for the limited purpose of marketing follow-up(s) by the sponsor. If information about you will be shared with a sponsor, you will be notified prior to your participation in the promotion or contest and you can decide not to participate in the promotion or contest. 6. Credit information that you and credit authorisers provide when you make payments by credit card or electronic check for products, dues or other services will only be used to process the transactions you request. This information will be provided to and maintained by reputable credit reporting databases, but will never be sold, shared or provided to other third parties. 7. We do use “cookies”, “web-bugs” or any other tracking technologies to collect personally identifiable information from Users of the Website only for the use and purposes stated in this policy. 8. We would not display or make publicly available, whether through online directories, User lists or otherwise, the personally identifiable information collected. However, we may disclose your personal information if we are required to do so by law or requirement of a competent authority. 9. We will retain your personal data for only as long as necessary to meet its purpose. 11. As explained in Section 2, we may occasionally update you on our latest products, news and special offers via e-mail, postal mail, mobile/text messaging and/or telephone. 13.1 Our security procedures mean that we may request proof of identity before we reveal information. This proof of identity will take the form of your e-mail address and password submitted upon registration. You must therefore keep this information safe as you will be responsible for any action which we take in response to a request from someone using your e-mail and password. We would strongly recommend that you do not use the browser's password memory function as that would permit other people using your terminal to access your personal information. 13.2 Where you submit a request to correct or amend any personal data you deem incorrect or incomplete, satisfactory evidence must be provided to prove the inaccuracy or incompleteness of the data in question. 13.3 Generally, we will take around  business days to make the requested information available or to confirm the correction or amendment of any personal data. We will notify you if more time is required to fulfill any such request. 13.4 We reserve the right to charge an administrative fee for providing access to personal data. Where a fee may apply, we will inform you of the cost and require payment before proceeding with the request. • If the request is frivolous or vexatious. Where a request is refused in full or in part, we will inform you in writing and provide the reasons for refusal. 14. At any time, you can withdraw your consent to any of our use of your personal data by contacting us via the contact details in Section 18. Please include your name and address as it appears on the email or postal mail you received from us and indicate your instructions. Please note that if after you withdraw your consent, you make any subsequent purchases from the Website, we will confirm your order by email, and we may still need to contact you by phone, email or postal mail with other questions regarding your order. 15. Our mechanisms and processes are in place to receive and address complaints about our policies and procedures relating to the handling of personal data. You may address all such complaints to the contact details in Section 18 below. Appropriate measures will be taken to amend policies and procedures if a complaint is found by us to be justified. 16. This Policy only applies to the collection and use of data by REA. It does not cover third party sites to which we provide links, even if such sites are co-branded with our logo. REA is not responsible for the privacy practices of these third party websites, so you should read their own privacy policies. Office hours from 9am to 5pm (Mon-Fri). 19. If you send to us contributions containing personal information to be posted on REA site, this information will be publicly accessible and is not covered by this Policy. 20. REA may modify the terms of this Policy or include additional terms to, for example, reflect changes to the law, changes to our products and/or services or customer feedback. You should look at these terms regularly. If you do not agree to the modified terms, you should discontinue your use of the Website. If there is any inconsistency between these terms and the additional terms, the additional terms will prevail to the extent of the inconsistency. 21. These terms govern the relationship between REA and you. They do not create any third party beneficiary rights and any law conferring rights on third parties, including the Contract (Rights of Third Parties) Act (Cap. 53B) of Singapore, is hereby excluded. 23. The use of this Website shall be governed by and construed in accordance with the laws of Singapore and we agree to submit to the non-exclusive jurisdiction of the Singapore courts. All accompanying documentation made available for download from this Web site is the copyrighted work of its suppliers. The copyright holder retains ownership of the Software and documentation. Ownership is not transferred to you. The use of any such software or documentation is subject to the terms of a license agreement as provided by the supplier of the software. Please read the license agreement while you are installing the software. I have passed the September RES exam both paper 1 and paper 2. Your 2 days revision workshop using Superlative Learning System is really effective and helpful. Once again, thank you very much for your guidance. I want to receive email / SMS news. Interested applicants please email your CVs in MS word format to hr@rea.sg indicating position applied for in the subject header, your current and expected salary and availability to join.